A Powder foundation works like a liquid foundation, it just the formula is a bit different because it comes in Powder type. I got this MAC Studio Fix Powder Plus Foundation in NC30 which turns out a bit beigey on my skin, I usually use a little bit darker foundation otherwise my skin will looks too white. 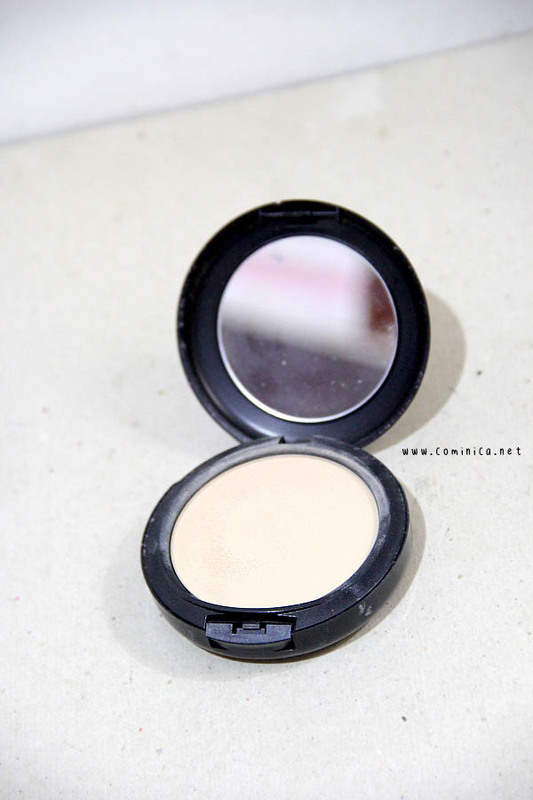 This Powder Foundation has a velvety texture despite of the full coverage finish, this powder feels light on my skin and the result looks so natural (as long as I don't forget to moisture my skin before). I prefer to apply this foundation with my Flat kabuki brush. I have a Combination-Dry skin and I usually spray some acid water first to my brush before I put my brush onto the powder foundation. And after I finish apply the powder foundation on my skin, I spray more acid water or facial spray like Evian for the finishing touch. I find this method is better for my skin type because my cheek area is very dry sometimes, this way is to prevent caking and powdery look. I know this powder foundation it's a bit expensive but definitely worth to get. It's worth it especially if you need to carry around your make up a lot and have bad skin which need full coverage. Or you're out from morning till night and need to look fresh all the time, lol just make sure you bring the face spray ok? Comi lu pakenya NC30? Gue pikir bakal kaya nc25 gituu.. tapi masuk banget di lu ya! I love this foundation of theirs except I currently have their original studio fix powder, not the plus version so I am curious to ask them what is different next time when I go to MAC. It's a certainly a staple product for me! what camera do you use?? love u!